Transforming the future of autism spectrum disorder. Autism spectrum disorder (ASD) is a neurodevelopmental disorder that affects various behaviors, such as a child’s ability to communicate and interact with others. As a result, children with autism may have social challenges. Parents or caregivers may notice signs and symptoms before the child is 2, but the most obvious symptoms begin to appear between 2 and 3 years of age. Marcus Autism Center is a not-for-profit organization and subsidiary of Children's Healthcare of Atlanta that impacts more than 9,000 children living with autism every year. 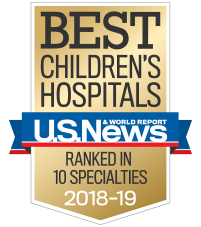 Marcus Autism Center is one of the largest autism centers in the U.S. and one of only three National Institutes of Health (NIH) Autism Centers of Excellence. We offer families access to the latest research, comprehensive evaluations and intensive behavior treatments. Since our beginning, we have provided clinical services to more than 30,000 patients. We strive to provide children with the support to reach their full potential. Marcus Autism Center offers a wide spectrum of services and evidence-based treatments so that families can receive diagnosis, treatment and support in a single location. We also collaborate with premier academic institutions nationwide to bring groundbreaking research and clinical services to children and families affected by ASD.